This book is an interesting fiction of how a man changes all. This man, however, is white, presumably just to emphasize that he needs to be Jew to fulfil his requirement as the messiah. The book moved from touching, to heartbreaking, towards being loose and unfortunately rather annoying in the end. In the beginning it was about connecting and loving, but it somehow unavoidably leading to plenty of orgies (and not so much more) towards the end. My opinion on Ben, the main character, therefore, had gone from appreciative to being boring and underwhelming. As the sexual behaviour takes more space in the story, Ben becomes less and less special and turns into an ordinary delusional man who started a cult (eerily reminding me of the movie Martha Marcy May Marlene). The book moves strong from the beginning up to the middle part, but lost its way somewhere in the middle. 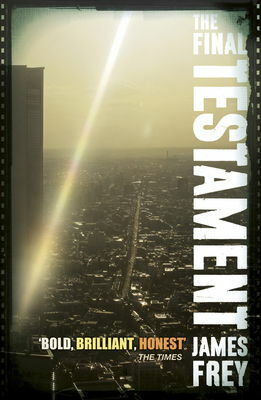 However, kudos for the biblical structured storytelling. I wasn’t so impressed because I have read The War of The End of The World by Mario Vargas Llosa about the similar prophet figure, but then again, this is a contemporary fantasy world Frey is telling. Nice, but not so special. This for me is a “nice to experience” kind of book and will never be read twice. A conversation with my friend nearly brought me to tears, out of pity. Here we are, two 27 year old young women, burgeoning with passion for career and life, or so I thought. It turned out, this is a personal sentiment I could and would never share with her. We grew up -sort of – together, with different sets of parents but within more or less the same extended family. We’d seen each other naked running around in the house as toddlers, we played dangerous games involving body twisting and free-falling like we’d live forever, we literally walked across rooftops that could’ve collapsed any time. We’d do nothing and everything and that didn’t make any difference. We marched on with our toddlerhood, deviating further from each other as we went along. From infancy to adolescence, we’d talk about our friends, our parents, our miserable existance and failures as teenagers. Journey, by Marsha Heiken. 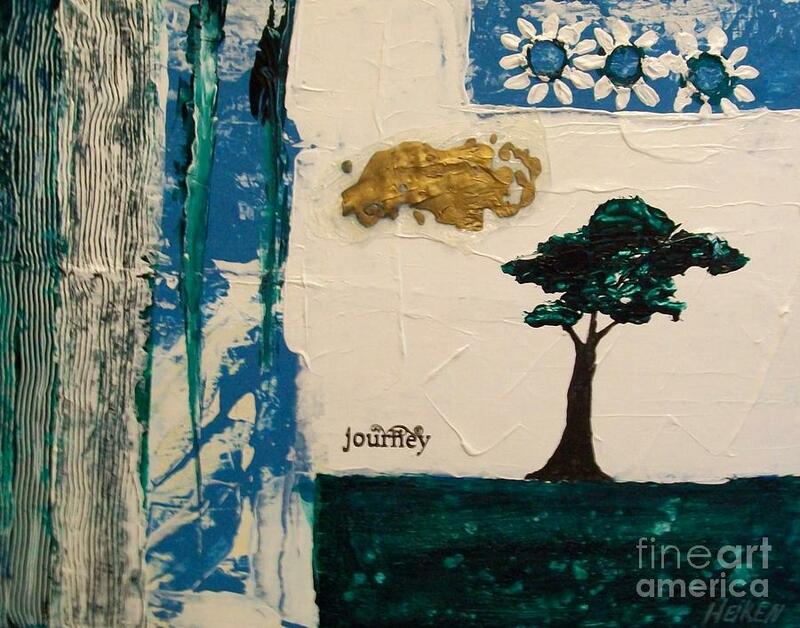 From http://fineartamerica.com/featured/journey-abstract-marsha-heiken.html Image is not mine. We started the conversation light, we hadn’t seen each other for a long time. We asked each other how we’re doing. She works in a fancy office, most of the time only when she feels like it, and seems to be getting by. It’s a job not easily attainable for most people with her age and qualifications, but she had her way in. The way I see it, she feels she’s entitled to this job, money, easy breezy life. Even with this seemingly fancy job, she comes and goes to work whenever she likes it. The usual questions for me. What the hell does that supposed to mean? Still this way? I had one of the roughest moments of my career 2 years ago, had struglled through one crazy year full of pressure and intimidation towards me, and eventually overcoming that and starting to live my dream career this year, with the hope of making it, or starting to make it by the time I’m 27. I did all that. Everything for me, the abyss, the drowning, the suffocating, has led up and culminated in what for me is “living the dream”. I appreciate the good with the bad, the happy with the sad, and realized that it’s built me. Even with those happening, for me this is the beginning of the beginning. I’d jumpstarted my career, on my path upward, starting the biggest international project of my life yet in a completely different continent. And to her, we’re “still this way”. I have come a long, long way, and for my childhood friend to call “our lives”, collectively, still the way that it was as a toddler is one hell of an irony, considering that she saw me as if my life were just like hers. I’ve worked hard, blood sweat tears to it all, and she barely works, and she thinks we’re the same. That point of conversation put our relationship now from distant to perhaps ignorant. For me here lies all the difference the 27 years has made. I grow up, she doesn’t. After a disappointing run with the character of Bella Swan in Twilight (read my past post here), I was delighted to be introduced to a positive female role model in fiction world, Katniss in Hunger Games. First of all, I’m really glad that Katniss looks like a healthy girl. Seriously. No anorexic tint whatsoever. Just normal body size for a girl. Thank you!!! And for the first time in my life of movie-watching, I was certain that Katniss, along with the rest of the female characters, had no intention at all to meet and be with a guy for the duration of the movie, and voila, she’s the hero. And it has nothing to do with her being against men, it has nothing to do with her wanting to be with one. She’s simply battling a sick system, and deserves all the glory for being who she is. Regardless of her brief “hook-up” with Peeta the nice boy, at the end of the game she’s still as independent as how she started it. This Friday marked the theatrical release of “The Hunger Games,” the film adaptation of Suzanne Collins’ popular young adult novel.The franchise’s move to the silver screen places it among the legions of vampires, wizards, and singing and dancing teens that often leave middle school girls swooning and feminist critics groaning. The Hunger Games, however, is different: The female protagonist is a highly skilled hunter, while the primary male character’s greatest talent is frosting cakes. As a result, the series has earned acclaim for its tone of female empowerment. However, in praising the lead female’s characteristically masculine traits, critics undermine The Hunger Games’ decidedly gender-neutral political agenda. Teenage readers and middle-aged reviewers alike agree that Katniss, the protagonist of the franchise, is “a strong feminist role model: independent, skilled, fierce.” Katniss may be a strong woman, but The Hunger Games ultimately cautions against the very strengths that its main character upholds and critics exhort. With independence comes the temptation of apathy: At a strategic high and moral low during the Games, Katniss recognizes the ease with which she could survive if she left weaker, injured allies behind. Her sharp intellect and hunting skills brand her as a poster-child of survival of the fittest, the harsh world order against which the books elaborately protest. Her fierceness faintly echoes the ruthlessness of her oppressors; indeed, the overwhelming nature of vengeance is explored in-depth in the final book of the trilogy. Independence, skill, and relentlessness are the “strong, feminist” qualities that readers celebrate, but they are also the qualities that Collins’ books implicitly censure. For what ideal, then, does The Hunger Games advocate? Femininity, it would seem. After all, Katniss ultimately chooses companionship over independence, relinquishes the dangerous power that her skills facilitate in favor of temperance, and trades her wrath for an attempt at tranquility, even domesticity. Through the eyes of Katniss, the cruel and destructive world of Panem has only two true heroes: Peeta, a non-aggressive, sensitive and deeply caring boy; and Primrose, an even more gentle, caring, angelic little girl. 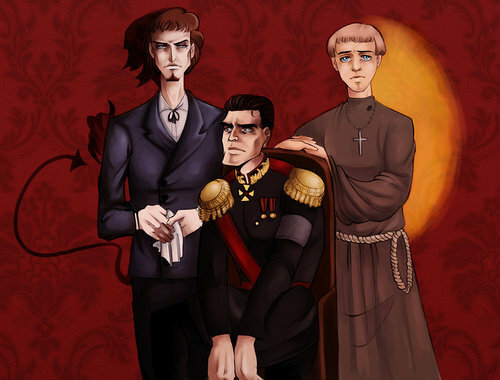 These characters do not exhibit the physical strength, political aggression, or obstinacy that characterize most of the prominent figures in the series. Indeed, they serve as the moral center of Katniss’s universe precisely because of their impermeability to the aggression around them, what Collins symbolically alludes to as “fire.” In The Hunger Games, fire is attractive and powerful, but it destroys everything in its path. On the contrary, redemption is possible through love, nurturing, and non-violence—qualities that carry feminine connotations. 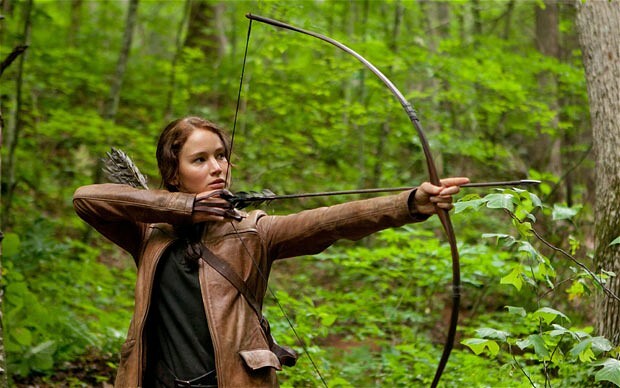 The Hunger Games could easily be interpreted as a feminist allegory. In a sadistic, masculine world, Katniss is “a fiery teenage huntress battling to overcome a corrupt, male-dominated system.” Yet the franchise’s political undertone is more complicated, still. It crusades against brutality, but simultaneously condones it. With adrenaline-pumping passages, now translated into Hollywood action sequences, Collins invites us to revel in the gory glory of the Games. Real-life readers and viewers mirror the audience within the story, rooting for the survival of their favorite characters—and thereby, the deaths of other characters. At the same time, the story inspires us with the lofty feminized ideal of prioritizing altruistic selflessness over self-preservation, as demonstrated by an official trailer for the movie that heavily emphasizes the heroic self-sacrifice Katniss commits by taking her younger sister’s place in the Hunger Games. Somehow, the series refuses to fully embrace aggression or non-violence, and even hints at the futility of searching for a happy medium. With no resolution in sight, The Hunger Games leaves its fans confronting what we knew all along: Neither gender is superior. There is no paradigm for a perfect human, because no such being exists. It is worth noting that the attributes of passivity and agression are not gendered in Collins’ literary universe. Remarkably, The Hunger Games assumes that gender is not circumscribed by defining character traits. Just as Katniss’ femininity is not questioned because of her emotional toughness, Peeta’s manhood is not doubted because of his emotional vulnerability. The nation of Panem may be an archaic dictatorship, but its post-gender social organization far outpaces the social advancement of our modern society. It takes for granted a principle that would startle much of The Hunger Games’ readership: there is nothing inherently masculine about aggression or feminine about passivity. 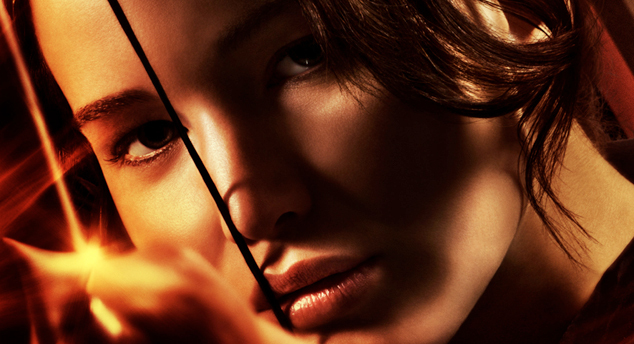 The Hunger Games largely avoids the restrictive lens of gender. Within Collins’ literary world, Katniss is characterized neither as feminine nor as feminist; she is merely a complex, humanized character. Perhaps this is the real victory of the Games. Tarina Quraishi ’14, a Crimson editorial writer, is an English concentrator in Eliot House. 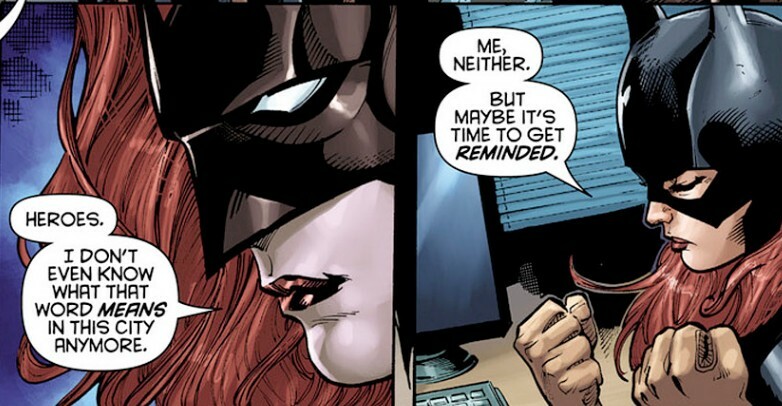 It is easy to be forgotten. It is easy to be lost in the crowd of memory. And if you ask me if it’s easy for me to forget things, yes, indeed it is. Whether I like it or not. Perhaps it is this lightness that I love about the transience of life. The transience of goods. The transience of memories. Even the transience of people. My oh my, we can be forgetful of that effervescence, that lightness. I am unburdened. Yesterday was a thousand years ago. So what do they mean then, these things people hand you, uninvited: pathetic pleas, abrasive comments, vulgar ugliness, shameful aggression? They are what they are: pathetic pleas, abrasive comments, vulgar ugliness, shameful aggression. They are the reflections of their owners: pathetic, abrasive, ugly, and shameful. What are these attacks then? What are they, when you easily forget them? When instead of resenting them you barely realized that you’ve passed them. Nothing, if you ask me. Because I believe in beauty, and the lack of beauty. Everything else is transitory, everything else is insignificant. The effervescence is in me.